R6000 measures Shear and extensional viscosity in one path. 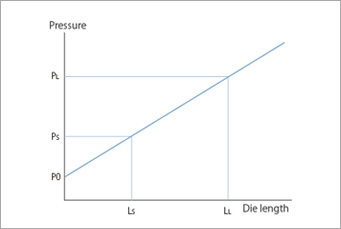 Shear Viscosity × Elongational Viscosity. 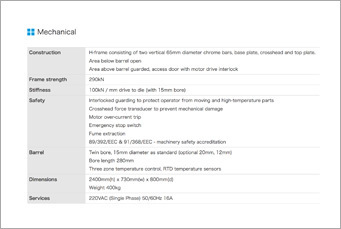 Ever wondered how to correlate the viscosity measurement with the actual production? The viscosity data is not 100% reproducible? MFI does not indicate the material behavior in the production machine? Well, we have a solution for you. 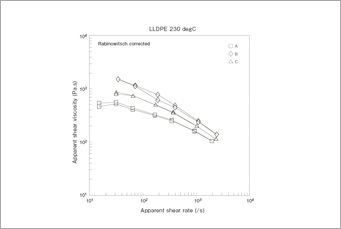 By combining the most accurate shear viscosity measurement with the additional elongational viscosity calculation, you can have a special insight of the material behavior. 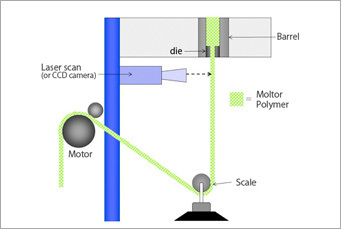 Imatek rheometer measurement is automatic, so the measured data is independent of the operator skill. In order to achieve the accuracy, R6000 is equipped with rigid and high endurance frame and construction, flexible software and lots of know-hows. 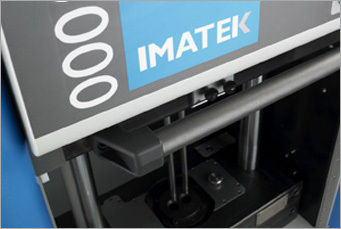 Imatek will make your material characterization easier and more effective! You can check the material if it fits your production needs. You can design the material to behave good in your customer’s plant. Computer controlled twin bore capillary rheometer. 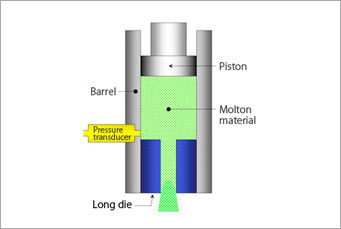 the capillary pressure is measured by the pressure transducer located right in the barrel. from 0.01mm/min to 500mm/min.(1,000mm/min. optional).You can test the shear rate range up to 9.6×10 5/s. High accuracy temperature control. Special construction of the support to have better temperature control. It has a direct correlation with the processing behavior of the material. Imatek Asia Office to help you on site. Copyright 2012　IMATEK ASIA OFFICE. All Rights Reserved.